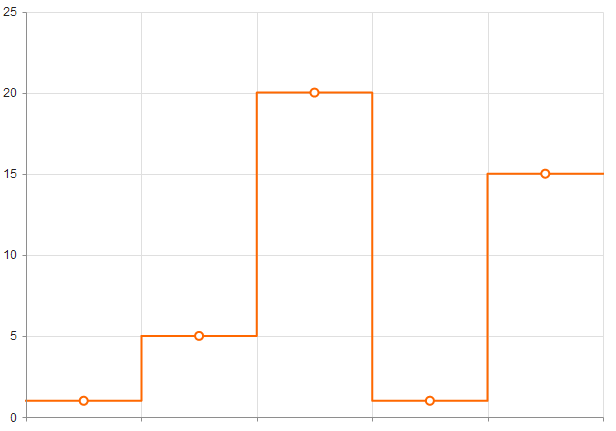 The Kendo UI Line Chart widget displays data as continuous lines that pass through points defined by the values of their items. 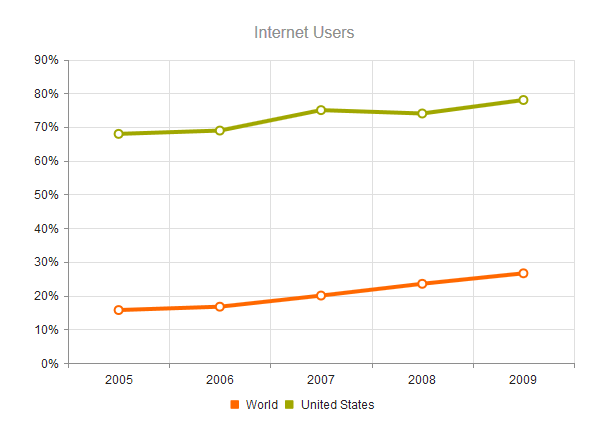 It is useful for rendering a trend over time and comparing several sets of similar data. 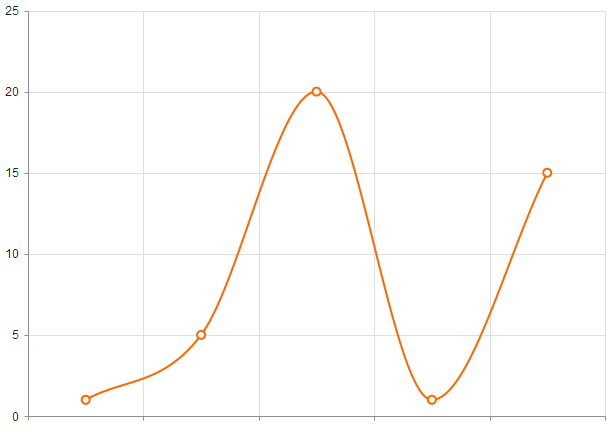 Use the line series type to create a Kendo UI Line Chart. The Line Chart orientation can be changed by using verticalLine. The default line type is solid. However, dash styles are also available through the dashType option, as demonstrated in the example below.